Experienced lawyer offering effective legal services for more than 35 years: The Law Offices of Daniel J. Cooper, a professional corporation, with offices in Laguna Hills and Temecula, California, helps individuals and families throughout Southern California in matters of estate planning, trust administration, trust and will controversies, probate and more. Daniel J. Cooper has more than 35 years of experience providing effective legal advice to help his clients develop efficient estate planning strategies. He works diligently and devotes his personal attention to each client's situation to make clear their legal needs, and he applies his extensive experience to help them achieve their goals. Attentive to detail, he provides comprehensive representation to secure your peace of mind. He approaches his clients with warmth and trust so as to build lasting relationships. Call the Law Offices of Daniel J. Cooper today to schedule a free initial consultation and find out how the Law Offices of Daniel J. Cooper can help you. Competent Attorney Providing Compassionate Legal Representation: Daniel J. Cooper takes pride in his proven track record of helping his clients achieve their goals. He is passionate about his work as an attorney, is involved in the community and provides a personal touch with the benefit of his: Competence - Mr. Cooper offers competent and skilled legal advice to make your options clear so as to pursue the best course of action to meet your legal needs. He stays informed about current legal trends. Compassion - Mr. Cooper is compassionate and understands that estate planning, trust administration and probate issues often become very emotional experiences and he devotes his personal attention to help you navigate through these difficult situations. Experience - Mr. Cooper has more than 35 years of experience as an attorney in Southern California. The Law Offices of Daniel J. Cooper is Dedicated to Offering Legal Services in Various Practice Areas: The Law Offices of Daniel J. Cooper helps clients secure the future of their families and achieve positive results in the following areas of practice, and more: Estate Planning - Mr. Cooper helps clients in determining executors for their will, successor trustees for their trust, agents for their powers of attorney and health care directives, and guardians for their children and aging parents, and takes an individualized approach to the planned distribution of assets upon death in order to minimize estate, federal and state income taxes and California property taxes. Trust Administration/Probate - If a loved one dies and their assets are held in name of their trust, Mr. Cooper can assist the successor trustee in complying with the Probate Code, marshaling assets, protection from litigation and the distribution of assets upon completion of the administration of the trust. If probate becomes necessary because a loved one died with or without a will, Mr. Cooper will guide his clients through the complex process of the probate courts as quickly and efficiently as possible. Trust & Will Controversies - Unfortunately, disputes arise between family members and others concerning conflicts of interest arising from lack of capacity, undue influence, breach of fiduciary duty and elder financial abuse. Sometimes these disputes can be resolved amicably, but in other situations, litigation may be necessary. Mr. Cooper makes every effort to resolve these disputes without litigation. However, if litigation becomes necessary, Mr. Cooper has significant experience in court to handle any of these issues. Other Areas of Practice Include: Formation of Business Entities - Mr. Cooper has extensive experience in assisting entrepreneurs with formation of corporations, limited liability companies and partnerships. Business & Real Estate Transactions - Mr. Cooper assists clients in the acquisition and sale of existing businesses, commercial real estate and tax deferred exchanges. Federal and State Income Taxes - Mr. Cooper represents his clients with issues before the Internal Revenue Service, California State Board of Equalization and the Franchise Tax Board. Mr. Cooper is also licensed to appear before the U.S. Tax Court. Whether you are planning for your future medical care or establishing support for loved ones with distribution of assets upon your death, the Law Offices of Daniel J. Cooper can help you with all facets of trust and estate issues, including: -Trusts and trust amendments -Last will and testaments and codicils -Changes of trustee of trusts -Changes of executor of wills -Conveyance of real property to trust -Durable powers of attorney -Advance Health Care Directives -Authorization to Release Protected Health Care Information Securing Your Legacy: You work hard for your family, so knowing that you have planned for their long-term well-being and financial security can bring you comfort. The Law Offices of Daniel J. Cooper thoroughly analyzes your estate and finds the means that best transfers your assets, minimizes the effect of income, property and inheritance taxes, establishes guardianship for your children, cares for your pets, supports personal philanthropic causes and protects your loved ones in accordance with your values and goals. Draft your Revocable Trust and Last Will and Testament: Your revocable trust works together with your Last Will and Testament, and provides the opportunity for you to distribute your property, establish care for your children and otherwise express your wishes upon your death. A trust and will work together and are necessary to distribute property to particular persons or entities at your discretion. As a general rule, if you die without a will, you die with a will but no trust or you die with a will and a trust, but the value of the sum of your assets not owned by your trust exceeds $150,000.00 (excluding real property), the probate court will determine, in accordance with California Probate Code, how your property not owned by the trust is to be distributed, who is to care for your children and even what happens to your pets, which might not reflect your wishes. The Law Offices of Daniel J. Cooper can prepare valid trusts and wills to ensure that your intentions are honored. Appointment of Guardian: If you have minor children, your trust and will enable you to make decisions for their future care. This is especially crucial if you are a single parent or if both parents die in the same accident. If you do not name a guardian, the court may appoint a guardian for your children which may be contrary to your wishes. Durable Power of Attorney: Your Durable Power of Attorney names those persons who are authorized to act on your behalf with regard to your financial matters and is effective at the time of signing. A Springing Durable Power of Attorney passes this authority to your named agent only when two or more persons named by you agree that you are unable to manage your financial affairs. Any assets not owned by your trust will be subject to the authority granted by this document. Advance Health Care Directive: Your Advance Health Care Directive (or living will) names those persons you trust to make health care decisions for you and sets the parameters for medical intervention if you become incapacitated or are otherwise unable to make health care decisions for yourself. This ensures that when you are most vulnerable, your doctor will get input from someone who cares about you, so that your wishes will be honored. Release of Protected Health Care Information: Under current law, you must provide authorization that allows your doctor to disclose protected health care information to your agent. Usually that agent is the person you name in your Advance Health Care Directive. Without this information, your agent cannot make informed decisions on your behalf when you cannot make them for yourself. Your doctor and your health care agent work together as a team, and both must be informed. California law protects the privacy between a patient and doctor, and without this authorization, a doctor is not authorized to disclose your protected health information to your agent. Amending Your Trust, Will and Other Estate Plan Documents: As your life changes, so also will your priorities change. You should periodically review your estate plan to determine whether it accurately reflects your wishes, or needs adjustment. The Law Offices of Daniel J. Cooper can prepare valid amendments to your trust and codicils to your will that reflect changes in your financial situation, marital status, number of children, philanthropic interests and general lifestyle decisions. DANIEL J. COOPER is a California attorney, and has been the sole shareholder of Daniel J. Cooper, a professional corporation, since 1980. 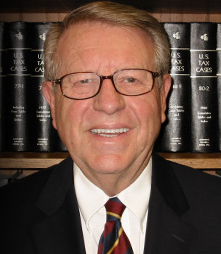 Mr. Cooper's practice emphasizes estate planning, trust administration, probate, Trust & Will controversies and the representation of clients before the U.S. Tax Court, State Board of Equalization, Internal Revenue Service and the California Franchise Tax Board in connection with federal, state and administrative tax disputes. He is an active member of the Orange County Bar Association and the State Bar of California and is currently Chairman of the Trust & Estate Section of the Orange County Bar Association. He is authorized by the Trust & Estate Section of the State Bar of California to make presentations on the subject of Elder Financial Abuse. Mr. Cooper is active in community affairs and has been a Parks & Recreation Commissioner for the City of Laguna Hills for more than 10 years. He is also active in with the Boys Scouts of America and is currently committee chairman of Troop 729 in Laguna Hills, California. All three of his sons are Eagle Scouts. Prior to entering the legal profession, Mr. Cooper was an income tax auditor for the Franchise Tax Board and a manager in the tax department of Arthur Young & Co., Certified Public Accountants. Mr. Cooper has lectured extensively on real estate taxes, state and local taxes and federal income taxes at the graduate school level at the University of Southern California, the University of California at Irvine and Golden Gate University. Additionally, Mr. Cooper has participated as an instructor in the continuing professional education program for the California Certified Public Accountants Education Foundation and has lectured for various professional groups. Mr. Cooper is admitted to practice law in the State of California, before the United States District Court (Southern & Central Districts), United States Tax Court and the United States Supreme Court. As an undergraduate, Mr. Cooper attended California State University at Los Angeles and graduated with a Bachelor of Science degree in Business Administration/Accounting. He received his Juris Doctorate from Western State University College of Law in Fullerton, California. During the Vietnam War, Mr. Cooper served as a military policeman in the United States Army and was stationed in Hawaii and Thailand. He was honorably discharged and attended college on the GI Bill.